To enter into IT industry, you will want to become computer technicians. 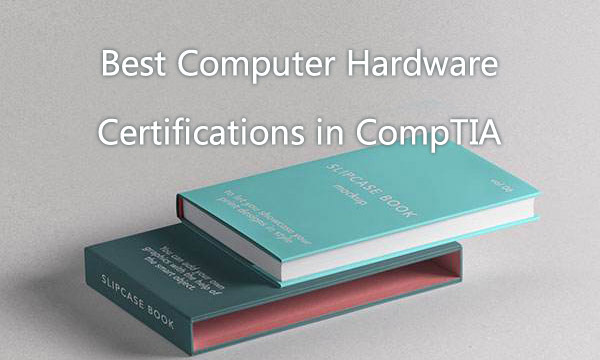 The following computer hardware certifications in CompTIA can help you be more professional in IT career. The function of the hardware is to input and store programs and data, and to execute programs to process the data into a usable form. In this article, I will introduce the pop computer hardware certifications in CompTIA. They are CompTIA A+ and CompTIA Server+. With CompTIA A+ certification, you will be skilled in identifying, using, and connecting hardware components and devices. CompTIA A+ certification validates understanding of the most common hardware and software technologies in business and certifies the skills necessary to support complex IT infrastructures. To earn CompTIA A+ certification, you need to pass the following 2 exams. CompTIA Server+ certification validates the skills which are required by a server administrator. After you earn CompTIA Server+ certification, you can master the following parts: Virtualization, Storage, Security and Troubleshooting. To earn CompTIA Server+ certification, you need to pass the following exam. With the above CompTIA A+ and CompTIA Server+ certification, you will have a great improvement in Hardware certification. CertQueen provides the latest CompTIA 220-901, 220-902 and SK0-004 exam dumps, which are helpful and valid for you to pass these exams and get certified.